Psychotic biotic? Check. Post-apocalyptic wasteland wanderer? Check. Six to 11 year old superhero in training? Check and check! That’s right; Jack from the Mass Effect games, Sole Survivor in Fallout 4 and K.O. on Cartoon Network’s OK K.O.- Let’s Be Heroes! 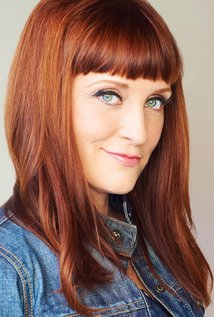 all share the same vocal cords…those of actress Courtenay Taylor! You’ll also recognize her voice as that of Ada Wong in Resident Evil 6 and RE:Damnation, Serina in Halo Wars, Jedi Juhani in Star Wars: Knights Of The Old Republic, and Amanda Holliday in Destiny. She’s Starla on CN’s Regular Show, Hex in the Skylanders franchise, and voices roles in other popular video games like Telltale’s Guardians of the Galaxy, Titanfall 2, Evolve, XCom, Halo Wars, Fallout New Vegas, and 100+ more! You may also see her in live action projects like the cult classic Cannes-awarded feature Rubber as well as TV shows like Criminal Minds.